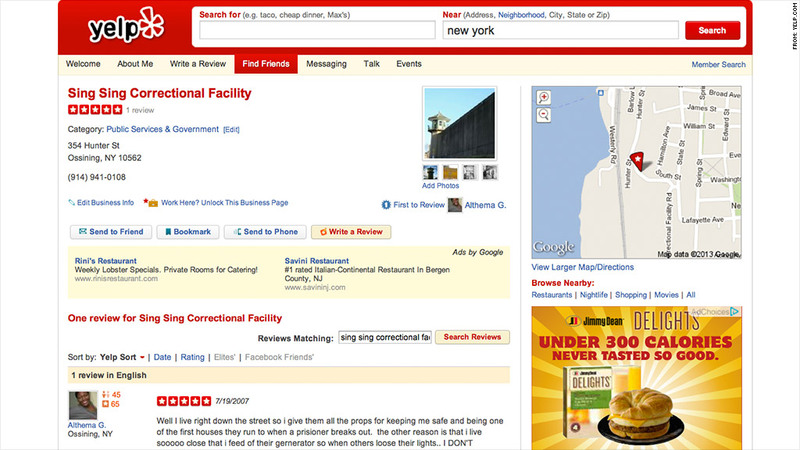 New York's Sing Sing Correctional Facility scored a five-star rating on Yelp from a single reviewer. Yelp is the go-to spot for recommendations on Chinese restaurants and cheap bars. But Yelpers also post reviews of some decidedly stranger things. A surprisingly high number of correctional facilities have garnered Yelp ratings. 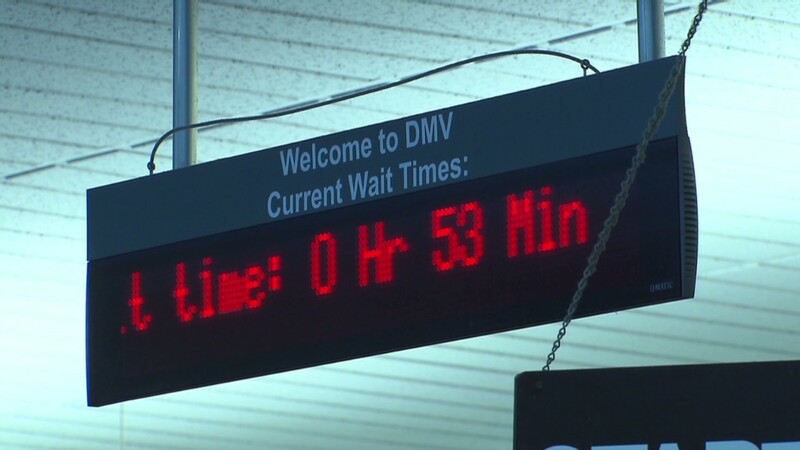 From reception efficiency to room cleanliness, few people found much to love about their time in jail. "The food, well, let's say that it ain't gourmet - quite possibly the worst, most bland, plain awful SLOP," Yelp user Jerome F. wrote about California's North County Correctional Facility. "I will never eat a bologna (if that's what it was) sandwich EVER again." Prisons aren't the weirdest places reviewed on Yelp (YELP), however. A traffic signal in Hawaii received only two stars overall, and one commenter deemed it a "deplorable 4-way." The planet Mars, categorized as a bed and breakfast, holds a four-and-a-half-star rating (docked by one reviewer for the lack of a breathable atmosphere), just edging out the Moon's four stars. Reviewer Glenn G. objected to the moon's high rating: "So maybe you assist with our tides, but the reviews are still concerning ... [C]ome on; at best it's a glorified rock." At least all of those places exist. Other posts review locations that aren't even real. A page for Dorsia, the fictional swanky restaurant in "American Psycho," is filled with users complaining about the difficulty of securing a reservation: "I didn't want to handle the humiliation of trying to get in again. It makes me feel so psycho & there's only a certain number of situps I can do." Celebrities and politicians aren't safe from the judgments of Yelp users, either. Former Alaska governor Sarah Palin -- categorized as "local flavor" in her hometown of Wasilla -- holds a one-and-a-half-star rating based on 134 reviews. "People Who Can't Spell The Word Definitely" scored two stars. Even Yelp itself is subject to criticism. Yelp holds only a three-star rating on its own platform, and it's full of reviewers and business owners complaining about how the company conducts itself. Many of the local businesses posted grievances about how Yelp handles reviews, and individual posters argued Yelp unfairly crowns certain users "Elite." Those Elite users score special badges on their profiles and receive invitations to exclusive Yelp events. Joshua M. wrote about his decision to quit Yelp after the company stripped him of Elite status because he's also a business owner: "Seems a little silly to be disgruntled by that tiny little graphic disappearing, but you know what Yelp? I deserve a little recognition."